Fundraiser by Camilla Deterre : SAVE SOUEN SOHO! We recently received news that Souen Soho is being forced to close on January 27th, 2019. The Co-op Board of 210 6th Ave has purchased the space and has made a deal with Cobi Levy of the Little Prince to take over Souen’s location. 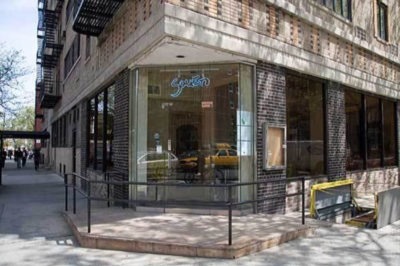 Souen is one of the last restaurants in Lower Manhattan (one could even make the case for all of New York City) where you can get affordable, healthy meals. Souen is much more than a restaurant to all of us - it is a social and community space, a workspace, and an educational space where we all have learned to take better care of our health. It has been a neighborhood institution since 1971. As of now, we are unsure if Souen can actually stay in its current location, or if it will have to move. Either way, we would like to support them as much as possible. Your donation will assist with legal fees and moving expenses if they are forced to relocate. Every time we lose a business like this we lose a piece of our collective history and the city becomes a more sterile and unfriendly place. Beth, the owner, has become a friend through many years of frequenting Souen. We are helping her relocate and afford to do so. I will be withdrawing the funds in my name. I will then delivered the funds, by check, to Beth personally.